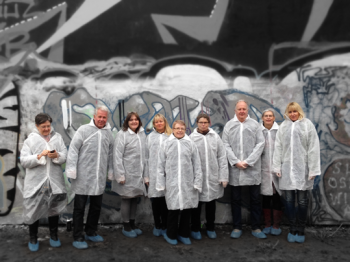 We arrange workshops for schools, officials, politicians and other institutions that are interested to see how we manage to engage with people using contemporary art, and how we work with our roots in the local environment. Those who have asked us to arrange workshops include municipalities, county councils, university colleges, and other artistic organizations and institutions. We also regularly arrange Creative School activities. If you are interested in planning a workshop with us, send e-mail to info@artlabgnesta.se.